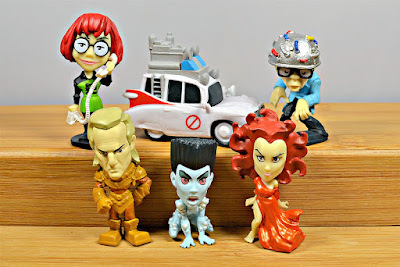 Cryptozoic Entertainment finally released their first series of Ghostbusters Micro Figures after a delay (the figures were originally supposed to come out in 2016). 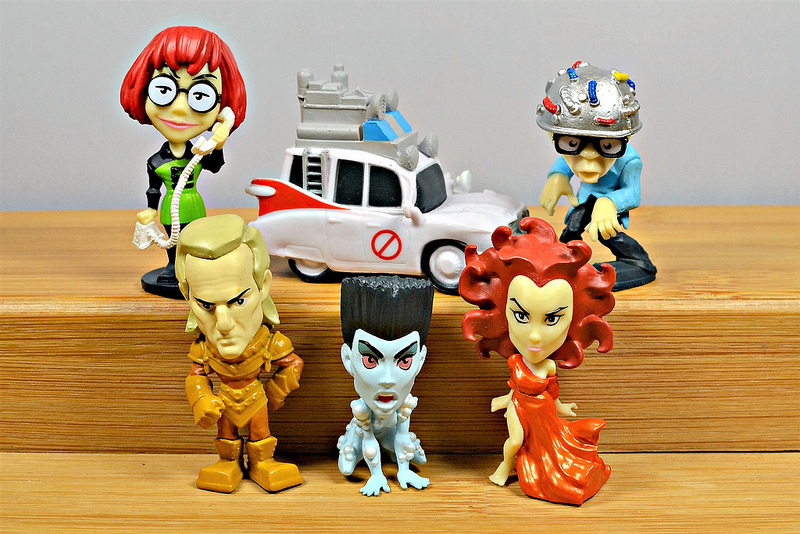 The wait was worth it, because the final product turned out really nice -- they're certainly better-produced than the Mattel Ecto-Minis that were released last year to coincide with the new Ghostbusters movie. The figures are about 1.75 to 2 inches tall, painted, and made of a solid, sturdy plastic. The paint jobs are thankfully quite well done -- for the most part very clean. They run about $4 each, so not cheap, but at least the quality is there. The set features characters from both 1980s Ghostbusters films. 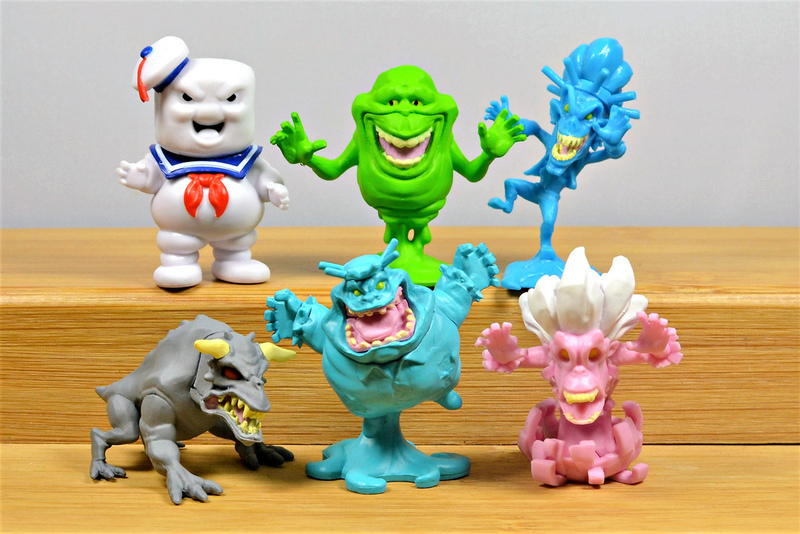 My favorites are (of course) the ghost creatures, including the Librarian, Tony and Nunzio Scoleri, the Terror Dog, the Stay Puft Marshmallow Man, and of course, Slimer. I think my absolute top favorite is Nunzio Scoleri -- he's got a killer sculpt and a great color! 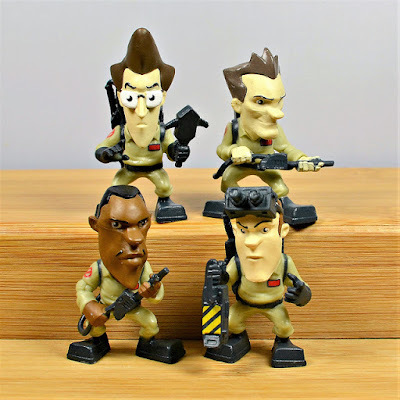 All of the figures are produced in solid colors, but I'd love to see translucent variants of the ghosts -- maybe an idea for a future release? 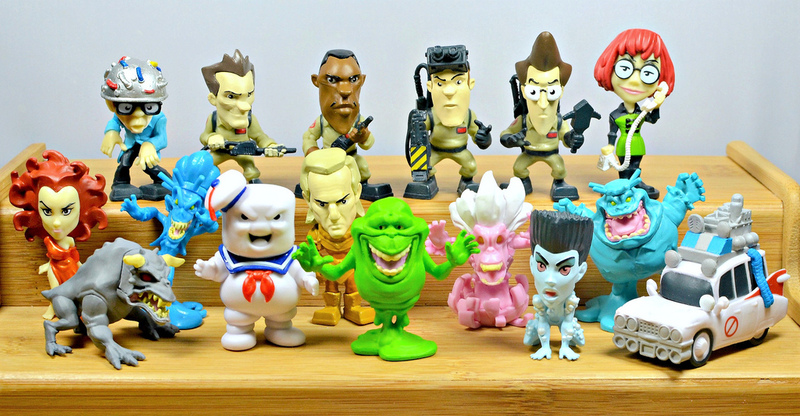 The human (and human-looking) characters are done in an exaggerated, cartoonish style with big heads. That's not usually my thing, but it does work with these figures, and they all look good. 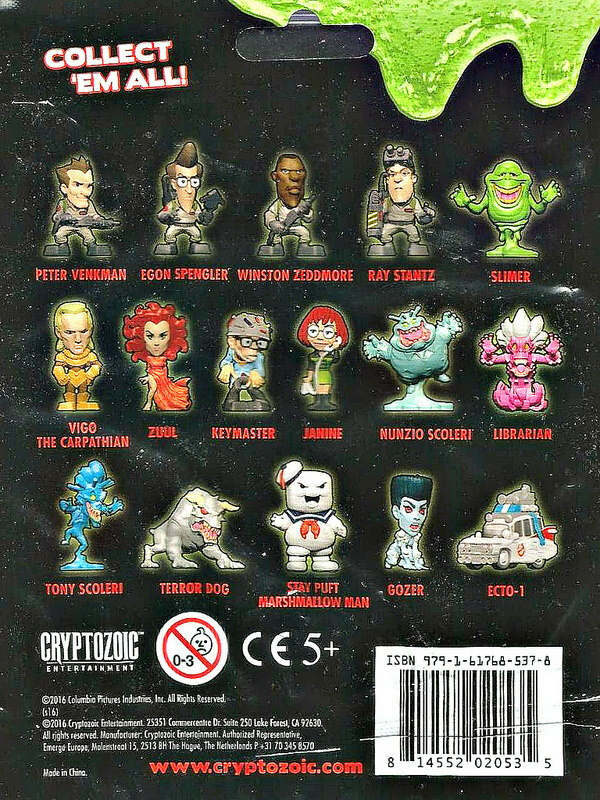 In addition to the ghost and human characters there's also the Ecto-1 car, which is also nicely sculpted and a cool addition. And that's the lot! 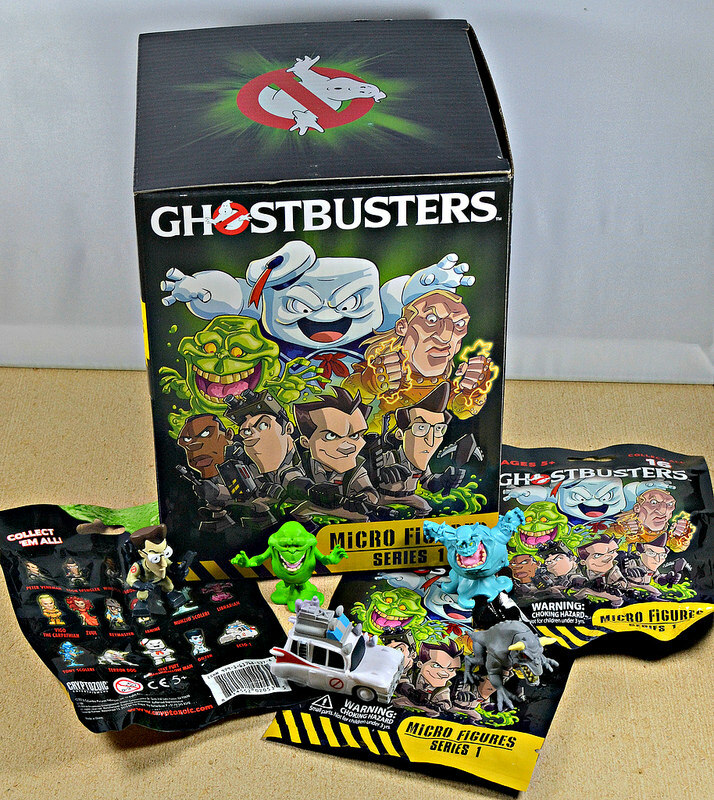 The packaging says "Series 1," so maybe we'll eventually get another set. I'd definitely love to add more ghosts to the collection. What do you think of these Cryptozoic figures? Do you plan on picking any up? They look great -- spotted some in a store over here in Australia a couple of weeks ago. I just think they're a little overpriced. Did buying a full box cost out cheaper? 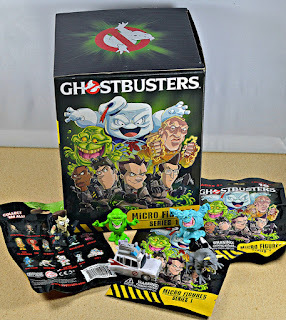 From Entertainment Earth, I think buying a whole box worked out to about the same as the cost of singles. Other sites might have them a bit cheaper--not sure. and they're out of stock even on eBay the go to site for finding out of stock items this is highly unacceptable if there is an site where I can buy them please help me .